Pharmaceutical Machine - Kwang Dah Pharmaceutical Company. Cylindric desiccant is a cylindric-shaped plastic housing into which silica gel is filled , adn covering a ventilated card on the top.The moisture adsorption capability of this cylindric desiccant can replace 100% of the bag desiccat thus making the product to be more better appearance , clean and the packing to be more beautiful for enhancing the added value of the product. On the other hand , it will show the high quality of products , and enhance enterprise image . 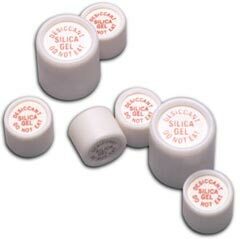 Desiccant inserts are small components filled with desiccant canister designed to rest in the screw-on caps of bottle containers, including those designed with tamper-evident and child-resistant features. 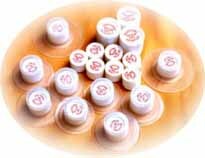 In cooperating with the pharmaceutical factory cGMP, we provide the clients the most appropriate and practical products and the convenient and satisfactory service. We'll reply your enquiry within 24hrs.